3" flanged inlet and 2X2" shtorzed outlet. 900 between the inlet and the outlet. Standard working pressure: 16 BAR. Available up to 40 bars. Polyester coated suitable for drinking water and UV proof. Internal structure is the same as ZF-35/1. 4" flanged inlet and 2X3" shtorzed outlet. Internal structure is the same as ZF-33. 6" flanged inlet and 2X3" shtorzed outlet. 8" flanged inlet and 4X3" shtorzed outlet. 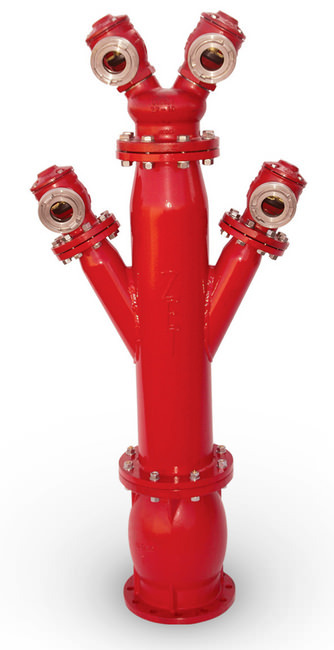 Includes zf-15 flood preventing device, polyester coated barrel, 2Xzf31 and zf-60 fire hydrant. 3" flanged inlet and 3" shtorzed outlet. 830 between the inlet and the outlet. 3" threaded inlet and 3" shtorzed outlet. 2" threaded inlet and 2" shtorzed outlet. 4" flanged inlet and 2X3" zf 33 heads. 6" flanged inlet and 2X3"zf33 heads. 4" flanged inlet and 3" shtorzed outlet. 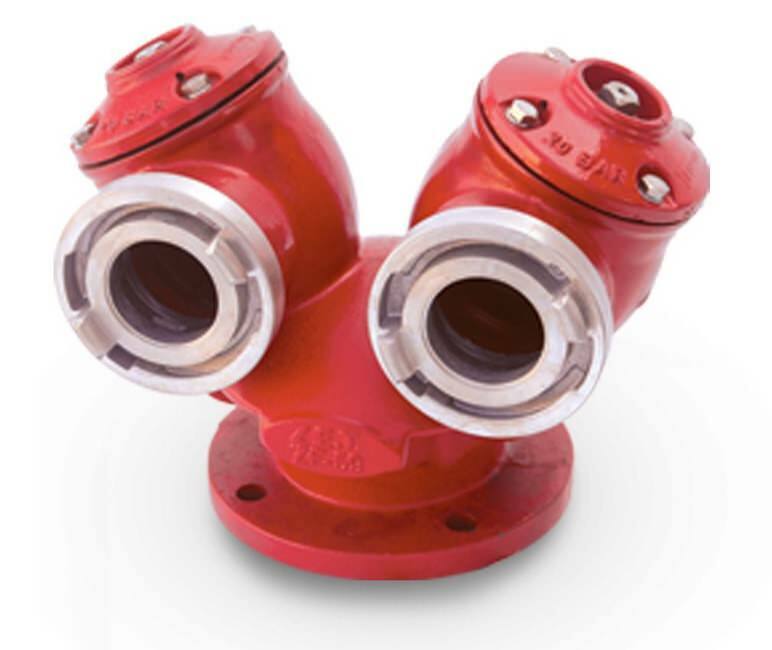 4" or 6" flanged inlet and 2X3" shtorzed outlet. 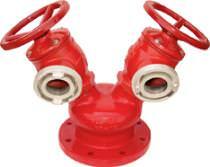 Includes zf-15 flood preventing device, polyester coated barrel and zf-59/zf-60 fire hydrant. 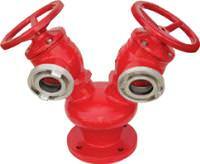 This device is designed for preventing flood, water loss and pressure drops in case of hydrant's breakage.